Do you struggle to keep up with your social media accounts? Don’t worry, it sounds like you work at a bar or restaurant! Most managers simply don’t have time to devote to posting, engaging, and staying up-to-date on social media. TapHunter wants to change that by teaching you how to use a content calendar to stay consistent and efficient on social media. 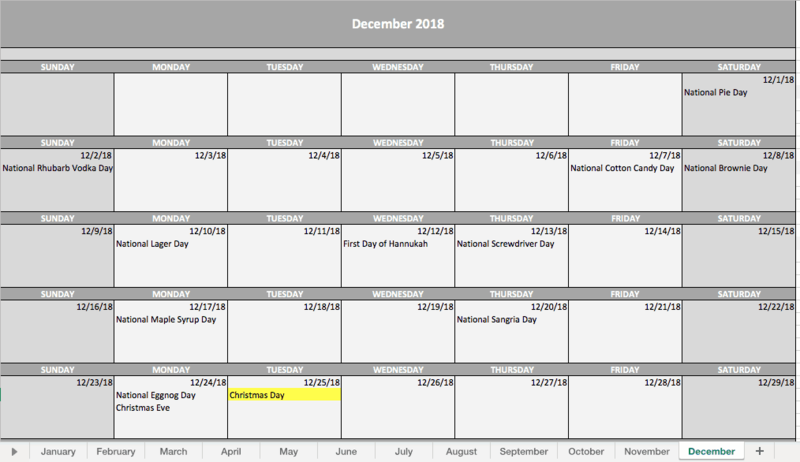 So, first things first, what is a content calendar? 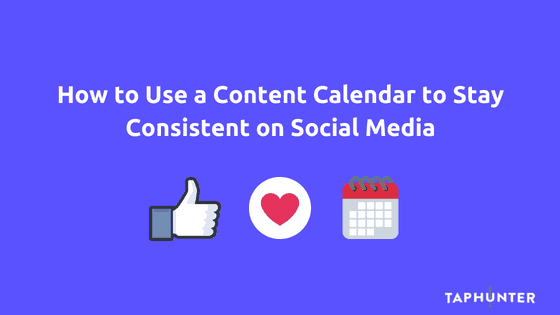 A content calendar is a schedule that helps you plan your posts across all of your social channels. Using a content calendar saves you time by creating a lot of content at once, instead of in little bits throughout the month. This gives you more time to respond to and interact with your audience, rather than scrambling to think up a post topic each week. Drafting posts in batches also helps you maintain a consistent voice and tone for your brand, helping retain and attract customers. This post outlines how to use two types of content calendars: monthly and annual. You can download templates of each content calendar here. Both will make it easier to schedule your posts in advance, take full advantage of relevant holidays, and build a stronger and more strategic online presence. We also include suggestions for what to post about, and a legend that you can use to specify which network a post is for. 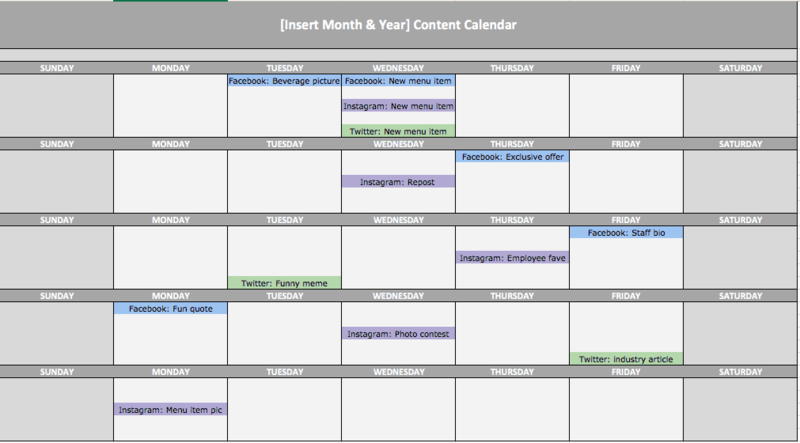 One way to plan your content is with a monthly content calendar. This involves sitting down each month and planning the content you want to post during the month. Planning content on a monthly basis is a good option for those who prefer to keep their planning short-term instead of trying to tackle an entire quarter or year at once, which can be daunting. Planning posts out per month also gives you more room to implement more recent business news, photos, or even learnings from previous performance. Creating a monthly content calendar usually involves a monthly planning session where your marketing team (sometimes this is a team of one!) sits down and brainstorms content for the upcoming month, including writing posts and sourcing images. If you can, it is often most efficient to schedule most of the social media posts so that all of the work is done in that session. TapHunter’s social media tools allow you to schedule tweets and Facebook posts directly from the Social Inbox. Another way to plan your content is with an annual calendar. This doesn’t mean that you are planning every single social post for that year (as we all know things change quickly and it’s important that your posts stay relevant with trends and events), but it does mean that you’re thinking beyond a single month. Using an annual content calendar allows you to focus more long term and plan out the next three or even six months in one sitting. By planning and scheduling predictable posts (e.g. 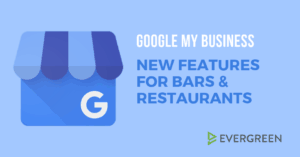 seasonal rotations, the annual Halloween party, Taco Tuesday promos), you can save considerable time down the road. You can even leave 1-2 “TBD” placeholders per month to give you room for more in-the-moment posts. Social media is a powerful tool for growing and retaining your customer base. A content calendar lets you manage your social accounts more quickly and strategically. Download monthly and annual content calendar templates here. 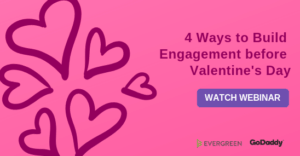 Then watch your audience and engagement grow!